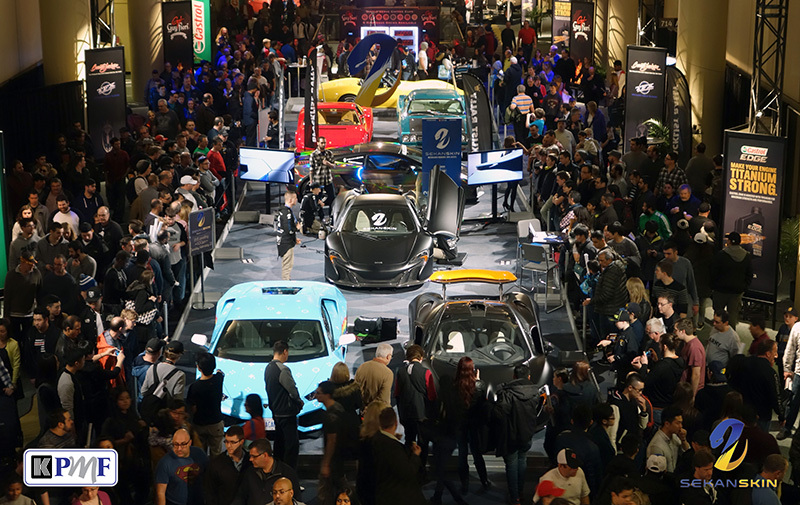 TORONTO, ONTARIO – The Canadian Auto Show is the largest gathering of car enthusiasts in Canada each year. Spanning ten days, the show features the displays from global auto manufacturers, a selection of high-end exotics and even specialized areas with hot rods and classics. While wraps were present a few exhibits, they went mostly un-noticed, thought to be custom paint. 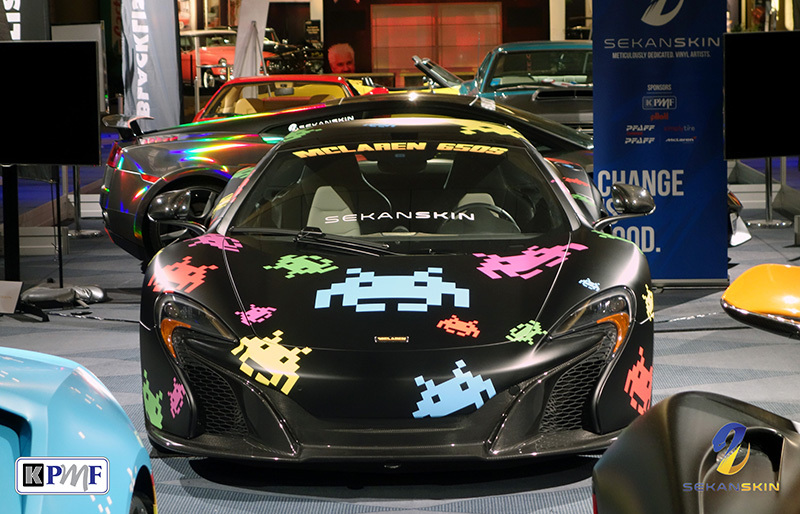 This year, Sekanskin, a wrap shop in Toronto known for its meticulous attention to detail wrapped a vehicle during the show. Demonstrations were given three times each day as the team worked to complete an entire car. Crowds gathered and Sekanskin answered hundreds of questions educating the public on the process and its benefits. KPMF’s Matte Black was chosen for the car, which was originally white. On the eve of the final show day after the public had left, team Sekanskin’s undeniable talents were again confirmed. 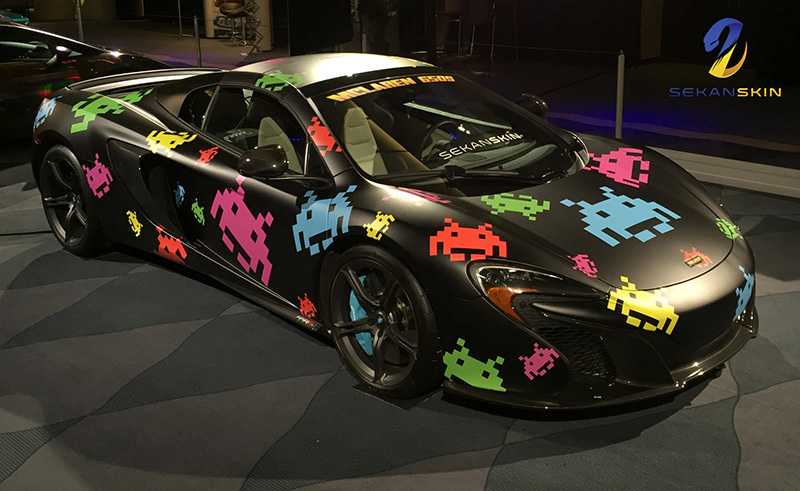 They transformed the finished matte black car into a true show vehicle by expertly placing themed decals on it. Two additional vehicles previously done by Sekanskin using KPMF were also on display and served as prime examples of Sekanskin’s quality as well as what can be achieved with wrap. The exhibit garnered a huge amount of attention during the show. A national television channel filmed a segment on wrapping and Sekanskin made it to front page of the paper twice. This exercise proved to be an excellent way to introduce tens of thousands of car enthusiasts to the wrap industry. Sekanskin is a Toronto based wrap shop specializing in custom high end wraps. For more information visit www.sekanskin.com. KPMF is a manufacturer of premium vehicle wrap films based in Michigan and Wales, UK. For more information visit www.kpmf.com.